Female Staff Important To Us | Wesley Anne Brady, M.D. One of the most valued aspects of care for just about anyone is a comfortable, safe, knowledgeable and overall encouraging atmosphere. Our goal is to improve the environment of a typical medical office and make our patients feel more confident and less exposed as they discuss such intimate aspects of their lives. 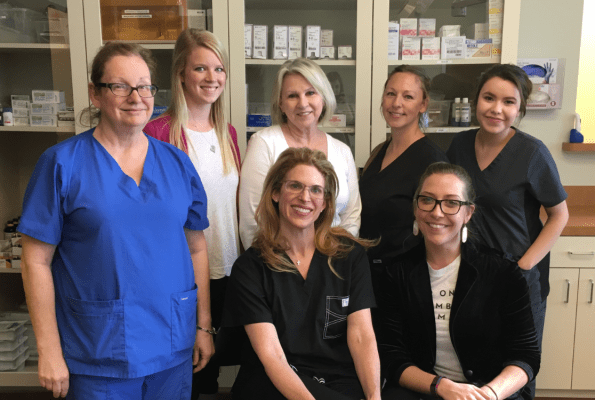 We’ve been in the business of cosmetic gynecology for a decade and one of the things we pride ourselves on most is our all-female office and surgical staff. As women ourselves, we’re particularly sensitive to the needs of our female patients. We can appreciate that many women, like ourselves, feel more comfortable expressing themselves, and when necessary, exposing themselves for a physical exam when the physician is a female. We understand that discussing concerns on the phone is easier when you’re talking to another woman. There’s a sense of sisterhood, if you will. From the first phone call, you’re surrounded by women at our facility. We empathize with your feelings, your experiences and your questions. Because we’re women too! At the Women’s Wellness Institute of Dallas, we’re focused on women. We dedicate our expertise to the well-being and sexual health of women. We are passionate about helping you live your very best life! We have one principle philosophy here at the institute – that health, wellness and beauty emanate from within. It’s our goal to educate and support your healthy inner-core by providing you with the care you need. We are particularly proud to offer our patients an experience with an all-female staff. Along with Dr. Brady, our entire team from the front desk to the operating room staff and even the anesthesiologist are all women. This provides our patients maximal comfort during their intimate procedures here. Any and all encounters and procedures our patients have with us will always be woman to woman. Our team has been carefully selected not just based on gender, but because of their knowledge, compassion and relatability to other women. We’ve been working with the same team to accumulate thousands of hours of experience to offer you not only comfort, but expertise. This will always be the case, regardless of why you’re coming to see us!